Here’s a bulletin! Over the last few years I’ve been discouraged about the state of the world. World: language doesn’t get much bigger. Solar system, galaxy, universe, and eternity all out rank world. In addition to a couple of newspapers and websites, my source for Earth’s latest information is ABC’s World News with David Muir. On the surface, this makes sense. If I want the most important updates available, why not depend on one of the big three television networks still broadcasting free of charge? On the other hand, what makes the American Broadcast Company so wise? A few days ago after prayer-meditation, I beat Jesus, Mary, Joseph, the shepherds, and the magi to the stable in Bethlehem and had an epiphany, joyous and liberating. The various media have much to report, but they can’t cover everything. This one man’s Teletype constantly receives breaking news deserving of airtime and headlines. World News isn’t only the latest financial collapse, governmental absurdity, or breathtaking slaughter. It’s also unseen sacrifice, modest dreams fulfilled, or simple tenderness. As sickly as things seem these days, grace is everywhere, and probably more abundant than evil. But because I consume so much distressing information, I’m conned into believing that humanity is circling the drain. How foolish! My personal sources have told glad tidings of great joy lately. With love and hope, then, I offer A Napper’s Companion Christmas Letter made up of stories not covered by the mainstream media. 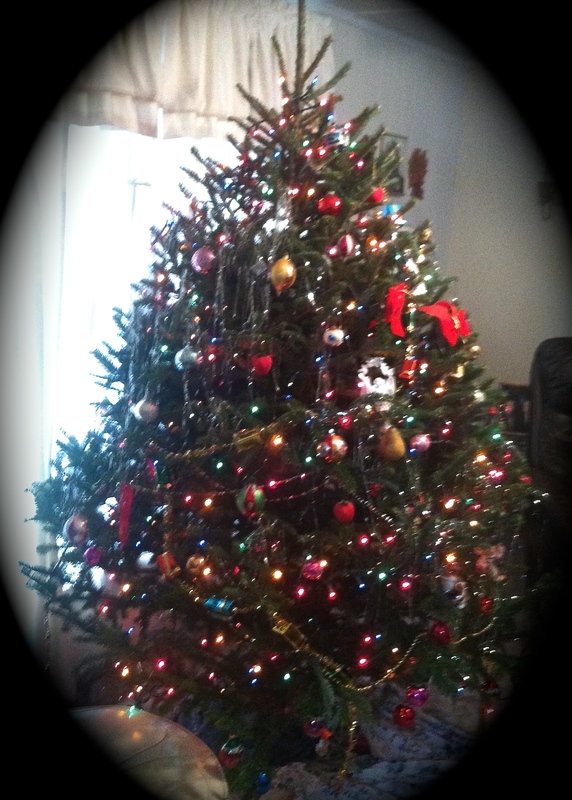 My buddy Ray put up a Christmas tree for his eighty-six-year-old mother, who stopped decorating after her husband died around twenty years ago. No media outlet picked up this story. In millions of kitchens, we help each other out with joy and speak of love. Snark and bicker visit, but I’ll wager overall we’re more kind than cranky. At a party last week, I sipped wine in the kitchen with friends Karri and Joe and kibitzed. Two of their daughters sat off to the side talking. Lauren is about to graduate from college, and Emily is in high school. Rarely would I tell anybody to freeze for a picture, but I figured this one might win a Pulitzer. Yes, Virginia, siblings can get along and do better than that: they can take care of each other. I recently visited a severely ill man and his family. He sat on the couch with feet up on an ottoman. His wife patted his leg, spoke words of comfort, and kept his morphine ahead of pain and distress. The man’s brother wrote a prayer, which he asked me to read—no way he could get the words out. It was simple, humble, fervent. 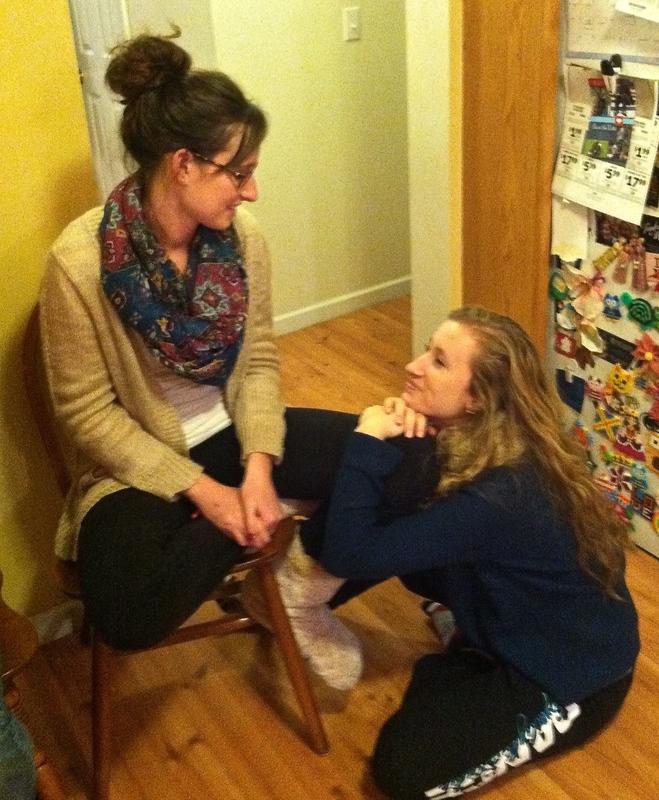 We sat in silence afterwards, passing around Kleenex. For over thirteen years I’ve watched death. Driving away from this visit, I took an unexpected gift with me. What a loving, attentive end, as gentle as any I’ve been blessed to witness. I’ve received a couple of gifts lately that are particularly moving. Both made and bought, they remind me that people who celebrate Christmas are thinking of each other, finding a present that will be received like a kiss on the cheek and a moment’s cheer to the heart. No doubt, Christmas is awfully commercial, but we’re trying, aren’t we? Most of us? We do want to bring joy. On the news you see Black Friday stampedes, but not the man standing alone in the store aisle, praying to find his beloved something pleasing. 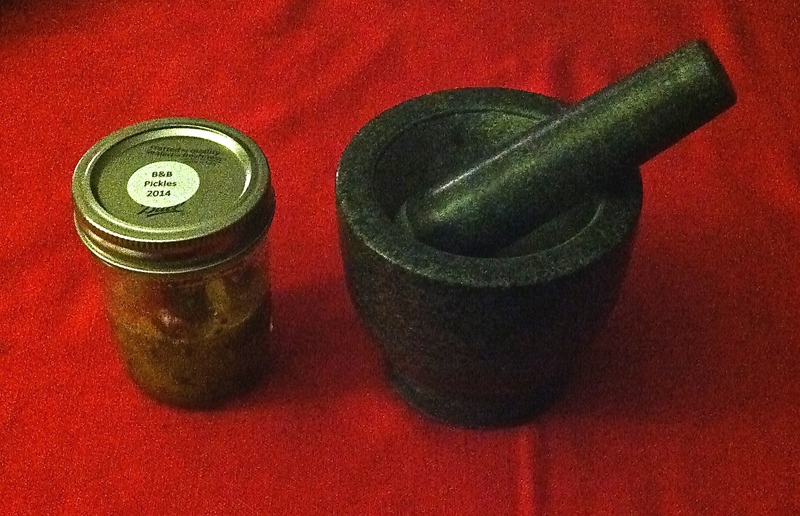 Bread and butter pickles and a mortar and pestle–thanks, Mary! A young guy with low-slung jeans was waiting to cross the street as I drove up to the intersection. He started out, saw me, then held up. I motioned him on. At the curb he glanced back, smiled, and waved. I smiled back and shot him the peace sign. Human by human, peace is sent out, received, and returned. I see it all around me. 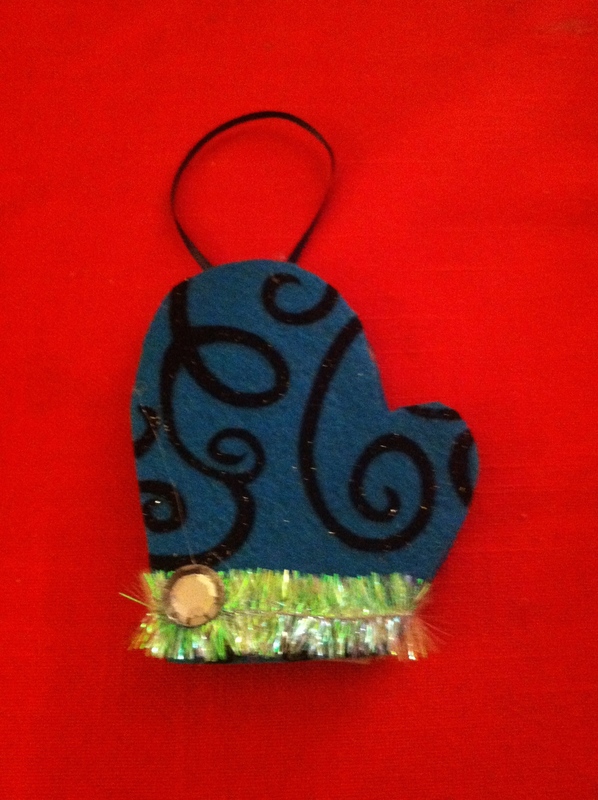 I know an astute, witty, practical nine-year-old who still believes in Santa Claus. She leaves him a letter each Christmas Eve by the candy jar. “What do you write him?” I asked. I’m sure she is not alone. Starbucks friend John and I talk about our dogs. 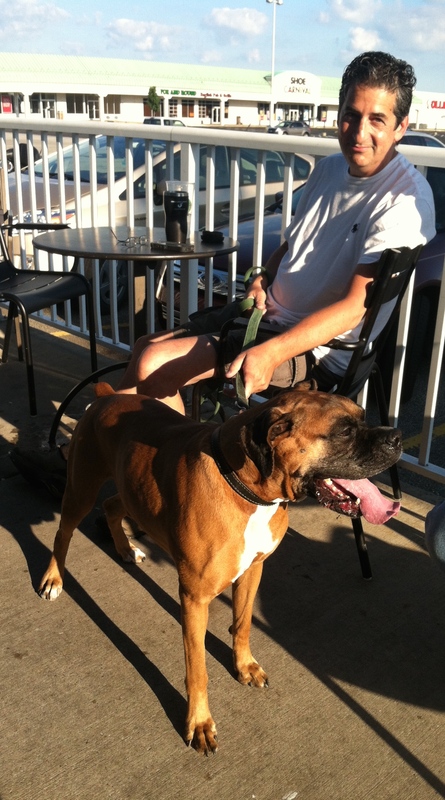 In decent weather he brings his boxer Harley and has coffee outside. 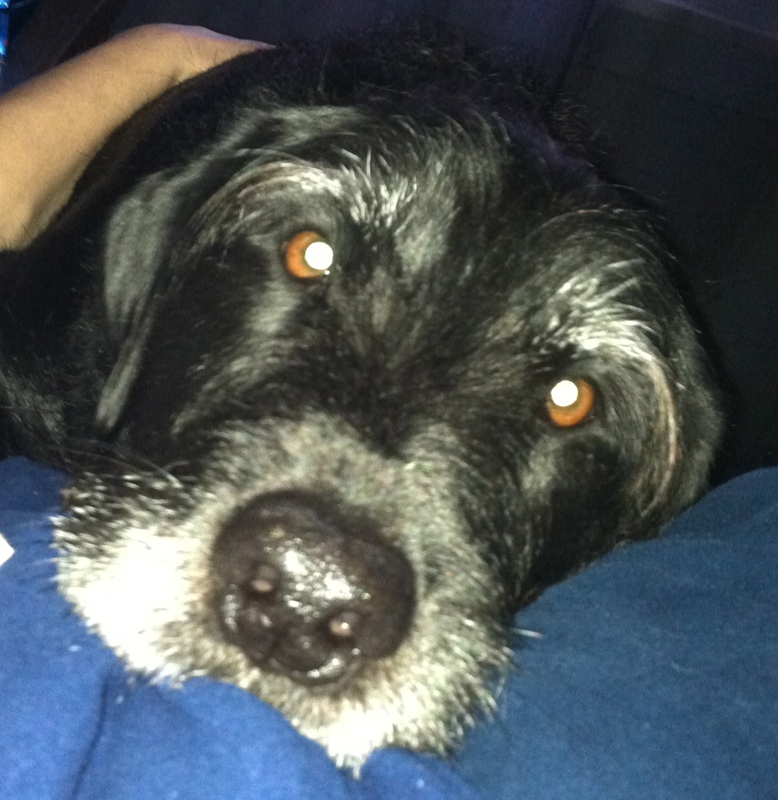 John and I both aspire to live like a dog—in the moment, not self-absorbed, often overjoyed. John loves Harley and shows it. Every once in a while I see a news story about horses starving in barns, but, you know, I bet most pet owners are like John. Most of us are this way, right? We make sure our dogs and cats have enough to eat and drink, gush over their eccentricities, and treat them like our children? Not my dog or John’s. 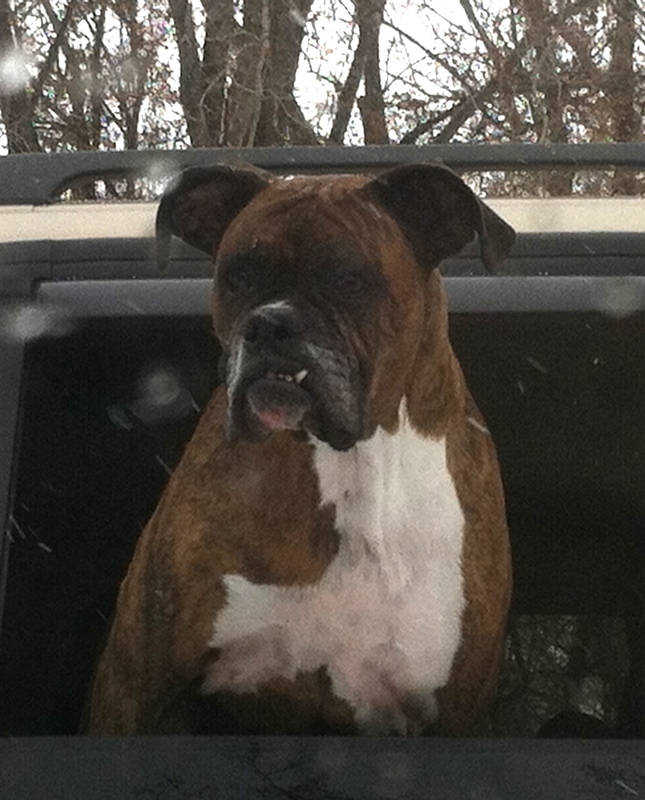 A random pooch with an endearing fang I photographed at Presque Isle in Pennsylvania. Certainly the apple of some dog owner’s eye. My favorite picture of my old buddy, Watson. Do you have a buddy, too? The world news tells us our home is in peril, with all of its explosions and arguments. This Christmas, sisters and brothers, I claim for us another world, one I recognize every way I turn. Join me. Everywhere I see souls unable to contain their love and sacred wishes. At the Millcreek Mall, Micah and I pass the Food Court and a pet store on the way to the E-cig kiosk. Smells: from Subway to General Tso’s chicken to pizza to a chemical cleaner that’s no match for pet poo. A couple of kids play with a pup–maybe a Weimaraner, not sure–through the glass. The transaction seems friendly. The kids aren’t taunting; the dog’s having fun, spinning, reaching its paws toward them. As I wait for Micah to pick up his cappuccino-flavored liquid tobacco, I begin to feel as though I’m from another world. Earth is pulling my leg. In front of me is an establishment devoted mostly to eyebrows and eyelashes. 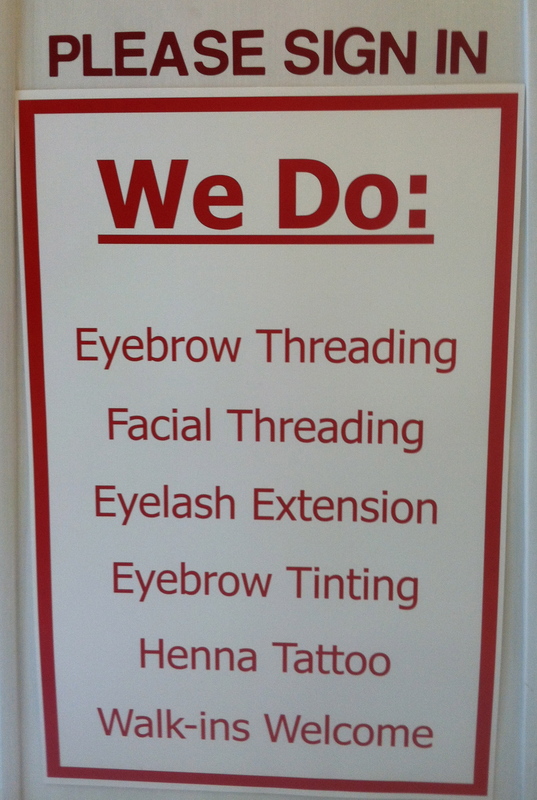 “Oh,” I think, “you can get some kind of fabric woven into your eyebrows if you want them darker or you can make a weak mustache sturdy with facial threading.” But an eye-hair business? In this world, gracious, what you can buy! Back by the pet store, the kids are gone. 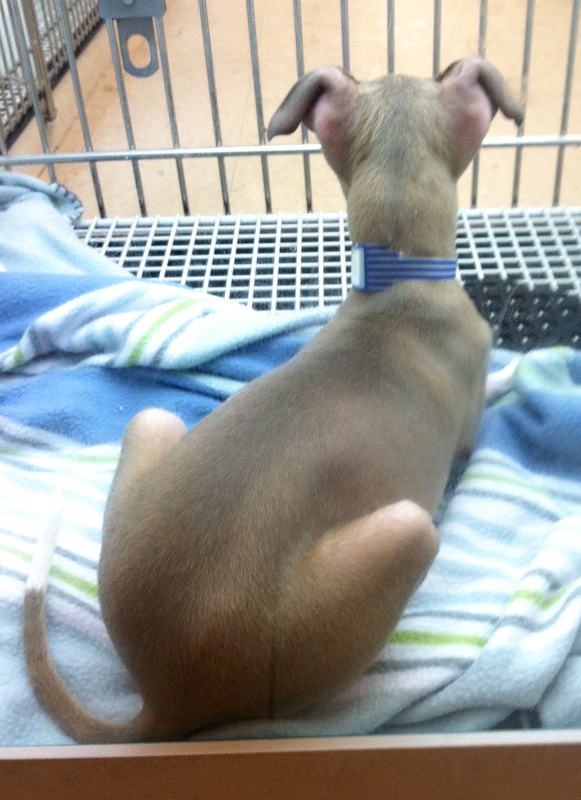 The dog is lying in its cage–looking for more kids? In this world, animals that we consider friends are for sale. Dozens here alone, like sofas or flat screen televisions. We sell what can love, fear, even save. And we micro-manage our eyebrows. Dear World, please stop fooling around. Some of these jokes make me tired and sad.